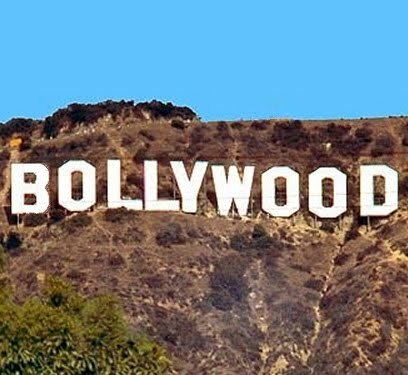 There's a new trend in Bollywood. So many big films have flopped in the last two years that producers and distributors are now including the revenue from satellite rights into the earnings of a film to convince people that the film is a hit and not a flop. The success of a film is measured by how the film performs at the box office. 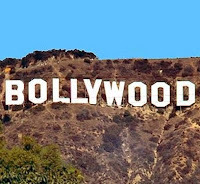 If it's a super hit at the box office, then TV channels will have to shell out more money than if it's flop. Recently, it was reported that the satellite rights of 3 Idiots were bought by Sony for 35 crores. Now for a big hit like that one can understand a TV channel having to shell out so much dough. What bothers me is when UTV says it's sold the satellite rights for I Hate Luv Storys for 10 crores, music for 4 crores and Home Video for 2 crores, prior to the release of the film. TV Channels in India are so desperate for content that they're willing to give a film 10 crores before they even know how it performs at the box office. Wow! I Hate Luv Storys needs to earn 40-45 crores nett from India for recovery. The First weeks collections of I Hate Luv Storys are 22 Crores and in the second week the film has fallen 80 percent in collection at most places. So there's no way, the film is going to recover its cost at the box office and should be termed a flop. But because the geniuses at UTV have take a new approach to how the success of a film is measure, they will determine that it's a hit because when you add all the revenues it generates (Box Office, Satellite rights, Music Rights, Home Video) it will probably make them a couple of crores in profit. And as we know, in India if a film makes 10 rupees above the cost it's considered a hit. How they can call I Hate Luv Storys a hit is beyond me. First of all, it's received mixed reactions from the audience and most critics have only given it 3 stars (reviews I'm sure have been paid for by UTV). The excellent promos helped it earn 22 crores in the first week, but the fall in second weeks collections should be evidence enough that the film is no good. In todays times, a hit film lasts at least 7-8 weeks in the multiplexes. It's highly doubtful, I Hate Luv Storys will last that long. Lasting two week in the multiplex doesn’t mean a film is a hit, even Krantiveer – The Revolution (a super flop) was able to last 2 weeks in theaters. If a trend needs to change in Bollywood, it’s not how collections are calculated, it should be how success is measured, unless a film can last 7-8 weeks in multiplexes it should be considered a flop no matter what the collections are. The problem with this scenario of including all the films rights is that other than the theatrical revenue all money from other sources goes to the producer. So, in hit or flop terms, a film is a hit if it recovers its cost - meaning the costs the distributor has to pay (film rights+prints+promotion). Now if the revenue from Satellite Rights, Music Rights, etc. is only going to the producer, it's not contributing towards the distributors' costs now is it? Therefore, including all the revenue a film generates doesn't really work since the cost are only covered by theatrical revenue and the film is still a flop. No matter what the filmmakers say unless the film can recover it's cost from theatrical revenue the distributors lose money and the film is a flop. Contrary to what many believe, the producers rarely lose money these days. The way the business is going these days, producers earn a profit before the film is even released. My Name is Khan had a budget of 50 crores, but the distributors (Fox) paid Karan Johar (producer) 110 crores before the release of the film. And although the film made over 73 crores at the box office, because the distributor couldn't recover their cost, it's forever labelled a flop. Had Karan Johar sold MNIK for 60 crores the film would've been a hit. So, even though Karan Johar is laughing all the way to the bank, it the film that suffers. Similarly, Rakesh Roshan (producer) received 100 crores from Reliance (distributor) for Kites which had a budget of 60 Crores, prior to the release of the film. Now, if the distributors are willing to shell out such ridiculous amounts of money for films that haven't seen the light of day. Obviously, when the film flops (Kites collected 42 crores) the distributors will lose big. This overpricing by producers needs to stop or else the industry will keep suffering and distributors will lose faith in the producers.